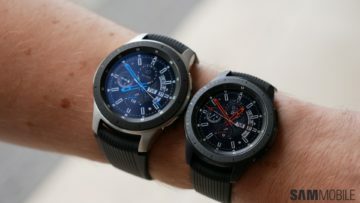 The Galaxy Watch is finally here as the true successor to the Gear S3 following Samsung’s detour into a fitness-focused smartwatch last year with the Gear Sport. 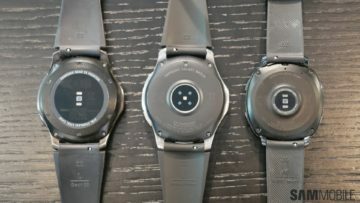 With the Galaxy Watch , Samsung has realized that one size doesn’t fit all, so the watch comes in both 42 mm and 46 mm varieties. 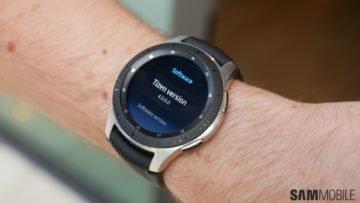 But the sizes are not the only thing the Galaxy Watch has going for it, as we discovered in our hands-on experience. 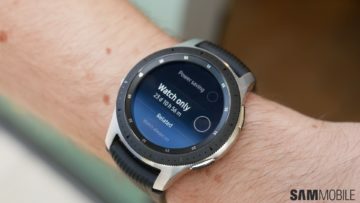 With the Galaxy Watch, Samsung is using the same button design as the Gear S3 Frontier for all variants. 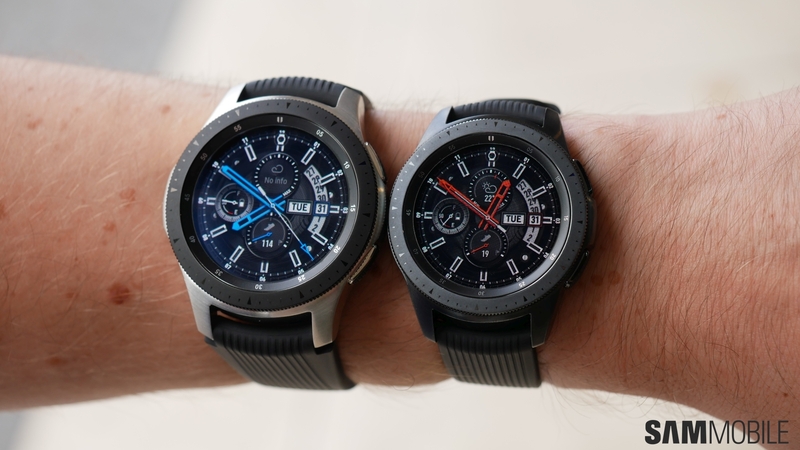 The big 46 mm version is like a mix between the Gear S3 classic and Gear S3 frontier and is also unique because of its two-color approach. The color of the bezel ring and the power and volume buttons is different from the rest of the body, and we have to say it looks quite refreshing. 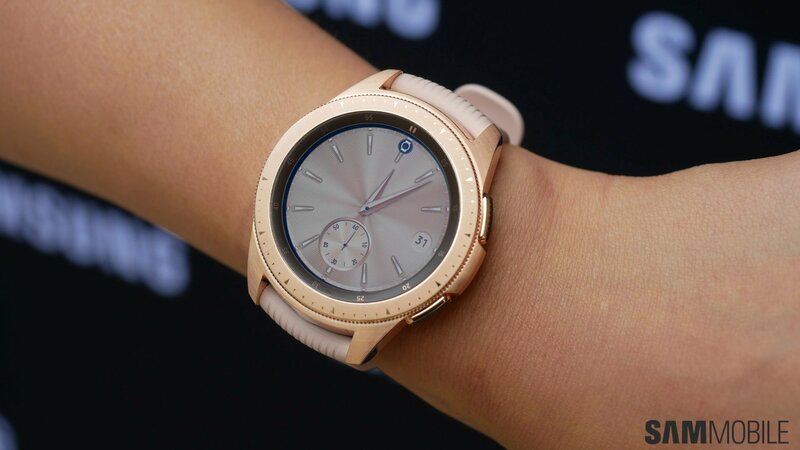 For the 42 mm variants, the Rose Gold version looks quite premium and classy thanks to the matte finish. 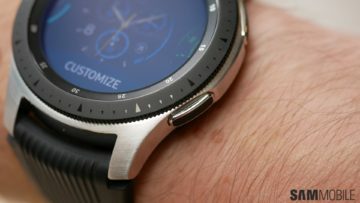 At the back, the sensors are placed circularly and the sensor assembly sticks out from the watch for better contact with the skin (similar to the Gear Sport). 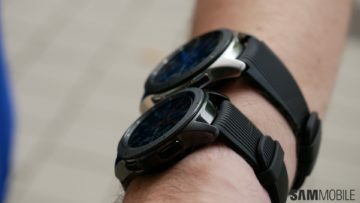 When it comes to fitness tracking, the Galaxy Watch isn’t much different from the Gear Sport. You get features like stress management, sleep monitoring, and automatic detection and tracking of movements such as walking, running, and rowing. Bixby, of course, is the key new software feature. 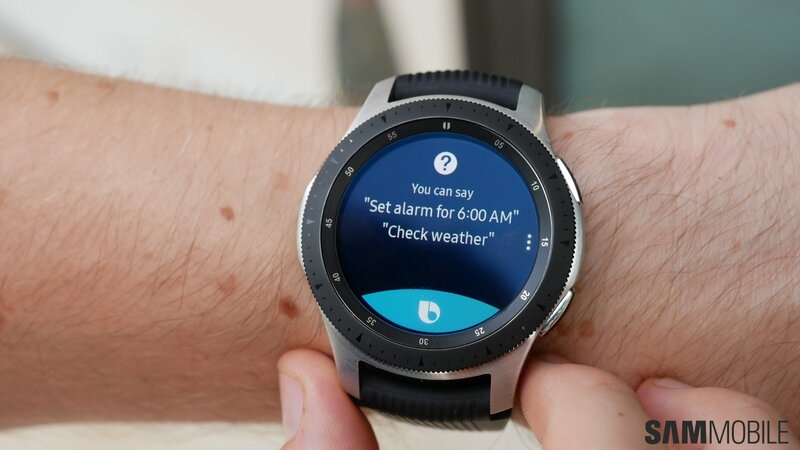 We were unable to properly test Bixby, but you can wake the watch up with the ‘Hi Bixby’ command just like you can on the company’s phones and ask it things such as the current weather conditions. There are also some new power saving modes, which will come in handy on the 42 mm versions because of its rather small battery (270 mAh; the 46 mm version has a 472 mAh battery), especially with LTE connectivity in the mix. But the most nifty new addition to the list of functionality is the option to enable a ticking sound for when the time is being shown on the display. 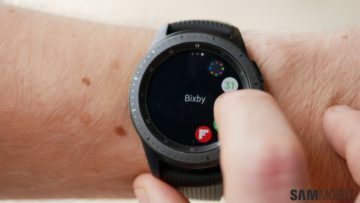 It’s a neat little touch to make the Galaxy Watch feel more like a traditional watch and a natural extension of the ‘Watch only’ mode that was introduced on existing Gear smartwatches. 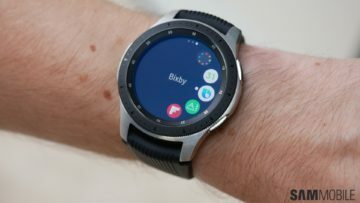 For Gear S3 or Gear Sport owners, the Galaxy Watch may not look like a big upgrade. 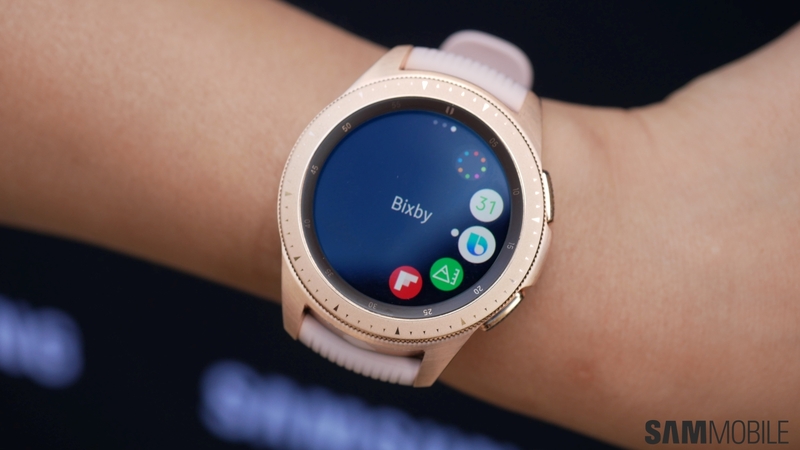 But Gear S2 owners would do well to take a look if they’re in the mood for an upgrade, especially since Samsung is offering a choice between two sizes and not alienating those with small hands. 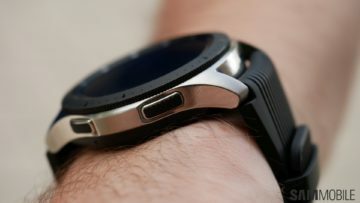 Our complete review will arrive in the coming weeks to tell you just how well everything works together on the Galaxy Watch, so be sure to stay tuned to SamMobile. 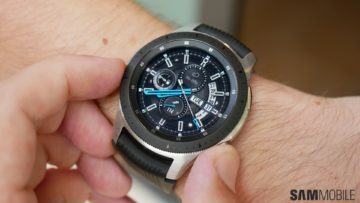 What’s your take on the Galaxy Watch? 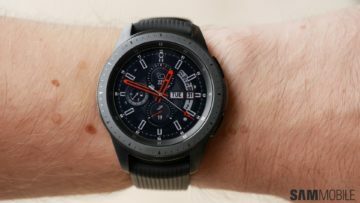 The post Samsung Galaxy Watch hands-on impressions appeared first on SamMobile.